Face care is a category long associated with innovation. Women’s’ regimes become increasingly complex as manufacturers continue to introduce new products, educating consumers about their ability to address previously unmet needs. While this has helped drive spending on face products to historic highs – it means the task of clearly communicating to consumers about the role of each product is more challenging. BB cream was a particularly successful innovation in face, succeeding in introducing women to the cosmetics category with a hybrid product addressing both skincare and cosmetic needs. It has seen phenomenal growth over the last few years – 12% of women now use in an average week, up from 8% two years ago – an additional 2.3m consumers in the top two tiers alone. And the market for cosmetic/care hybrids continues to develop with CC cream rapidly expanding its user-base and DD cream now launched in China. But what implications are there from the widespread adoption of BB cream? What is its relationship to skincare and cosmetic products? And what future opportunities are there for its growth? Both manufacturers and consumers often lack a clear view on whether BB creams should be identified as a cosmetics product or as a skincare product. 50% of women primarily identify it as a cosmetic product and 50% identify it as a skincare. Women’s age plays a key part in determining how they perceive BB cream; young women (16-25) primarily identify it as cosmetics product, an entry point to this category; while mature women (26-45) see it primarily as skin care product - demonstrating their greater sophistication regarding the cosmetics category. This change in perception means that cosmetic brands may be best placed to reach these younger consumers. Brands such as Maybelline have had great success in developing the category and can use BB products to introduce women to their brand, seeking greater involvement across their range as consumers needs develop with age. With younger women increasingly seeking the cosmetic benefits of BB cream (see chart), this is an opportunity that is likely to remain. But while young women have traditionally been core users of BB creams, the category growth is being driven by mature users who are more likely to see the product as part of care regime. For these women there is an opportunity for face care brands (e.g. L’Oreal Paris and Inoherb) offering extensions into BB Cream. In China many face care brands have been hesitant to launch BB ranges, but with many supporting BB products in other countries, there remains the possibility to lean on existing product and concept development to realize this opportunity. For both cosmetic and skin care manufacturers an important consideration of the rapid emergence of BB cream is what impact is has across facial categories. SPF cream in particular has been negatively affected with its penetration declining 5 percentage points over the last three years. BB cream users are 30% less likely to use a dedicated SPF product with a third of all BB cream usage is for sun protection reasons. With current trends, in the next year we can expect BB cream to overtake SPF creams as the 4th most popular face product (after moisturizer, cleanser & toner). Retailers and manufacturers should continue to monitor this trend, shifting investment and support between formats to respond to consumer demand. Looking to the future, innovations such as the BB cushion from Laneige provide a means to both premiumize the market and increase usage. Cushions increase application frequency by encouraging on the go usage through the enclosed mirror and convenient tool. With BB creams currently only being applied 6 times on average per week, there exists potential to increase this if cushions can emulate their success in Korea (23% penetration). 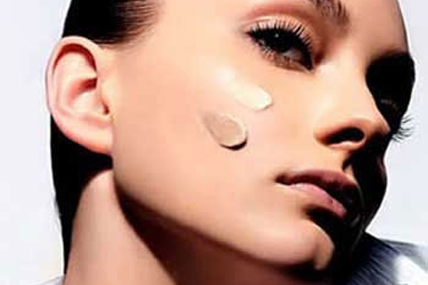 Age determines perception of BB cream as either a cosmetics or a skin care product. Manufacturers should use cosmetic brands to target young women, allowing them to introduce a new generation to the still emerging cosmetic market in China thought BB creams. Opportunity for skincare brands to expand their range into BB cream to reach the booming market for more mature users. Cushions offer excellent development opportunities for BB products, both increasing usage and premiumising market. Given their widespread popularity in Korea, brands should consider expanding their product line to capitalize on this emerging trend and benefit from a first to market advantage. ****Kantar Worldpanel’s beauty usage panel continually tracks women’s usage of personal care products to provide an up to date, comprehensive view from across their regime. Given its continuous nature, we now have long term trends to provide foresight on how the latest changes will impact your brands.